JustCo had the pleasure of bringing together four insightful panelists to go beyond the hype of cryptocurrencies and dive deeper into the realm of blockchain technology. 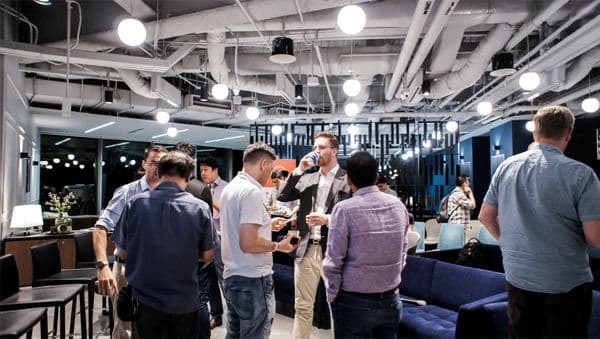 Participants not only gained valuable insights from industry experts, they also got to mingle and network over free flow of beer and wine, sponsored by our good friends at PwC. Our community sharing ideas over a drink… or two 😉 . For many, the concept of blockchain itself is enough to leave us muddled and confused. Blockchain is, put simply, a digital ledger of transactions that can be programmed to store anything that has a value. The products that have come from the technology of blockchain are specifically designed to solve existing economic issues, from remittance to intellectual property to even logistics. “Right now in this world and age everyone is dependent on third party storage and third party logistics. Everyone wants to have more control, and they want to know where the product is and how it is being treated.” Says Sarah Nabaa, Country Manager of Vechain. Blockchain technology removes the need for an intermediary because it is a decentralized database. Duplicating or cheating the data will affect the previous chain of records on the ledger. This results in a higher level of accuracy for companies seeking to improve their business process. 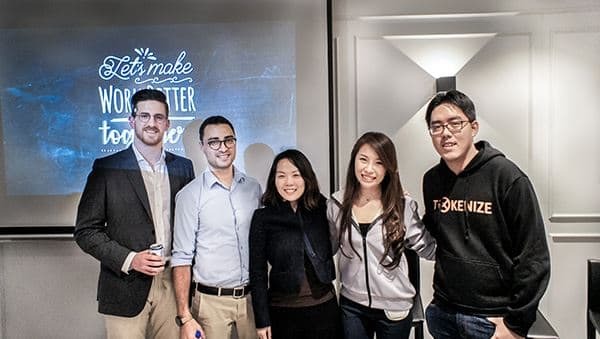 John Patrick Mullin, Hayk Hakobyan, Leyu Ong, Sarah Nabaa and Hong Qi Yu. Interested in more events just like this? Follow our Facebook page here to RSVP for future events and parties.